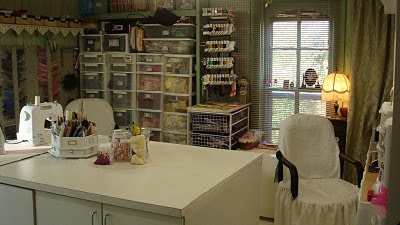 I just love Pat's studio even though is not a papercraft one, i think everyone can get loads of good storage ideas. I'm pretty content in my studio which is a converted spare bedroom in my home. I am a crazy quilter who experiments with a variety of other crafts which uses seed beads. 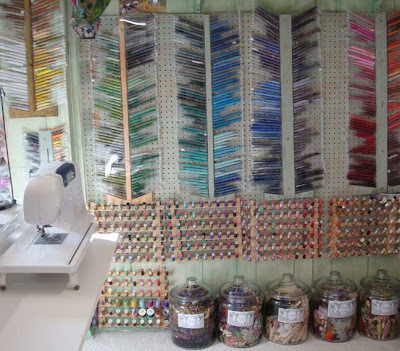 My husband designed a great flat wall storage unit for many tubes of beads so I can see exactly what I need with a glance. 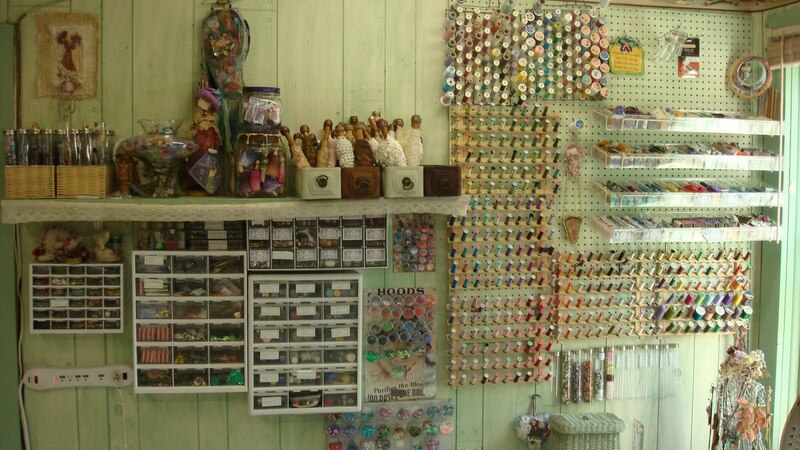 I find drawer cabinets at tag sales and paint them cream to hang on the wall for small items. 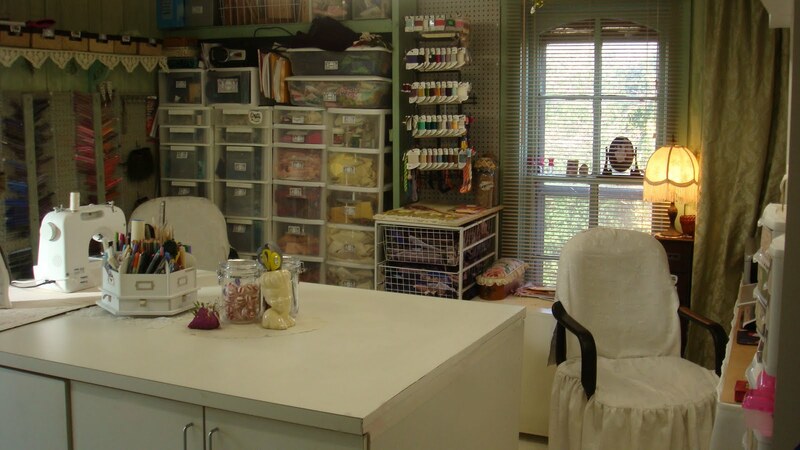 Although my supplies make my studio seem messy because they are in full view, I find it a breeze to walk around to each station and choose my embellishments for projects, If they were hidden behind doors or in drawers I would forget I have them. Click here for Pat's website. Wow...what a GREAT room. So beautiful. I LOVE the vintage style and what a great place to just relax and unwind. I LOVE her garden photos as well as her home and beach on her blog too. I would LOVE that!! 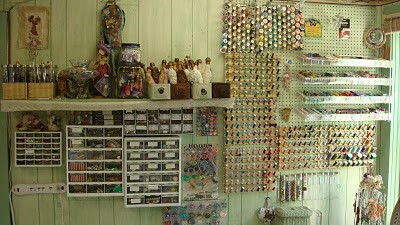 What an awesome room ... love how you use the peg board.